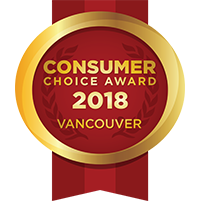 Trust the Vancouver cleaning services and janitorial professionals of Anago Cleaning Systems for the finest and most affordable commercial cleaning options on the lower mainland. Servicing all of Vancouver and Vancouver Island, our janitorial services are performed using custom cleaning plans. We address office cleaning on a higher level, and to the specific needs of our clients. Our janitors or custodians incorporate proven methods and techniques. All of our office cleaning is done using green cleaning products that provide a safe environment for employees and visitors alike. Our custodial services include cleaning restrooms, floor surface and carpet cleaning, cleaning windows and exposed surfaces, dusting and more. Anago of Vancouver also offers cleaning franchise opportunities in BC for residents interested in a janitorial business of their own. Reliability is often in short supply in our industry, but it is at the heart of everything we do. Let us be your janitor! Call us today to discuss your custom cleaning plan! We work with businesses of all sizes and in industries across the board in the Greater Vancouver area. At Anago, we specialize in green cleaning. Personalized Service to meet and exceed your cleaning needs! 24 hour guaranteed response time. 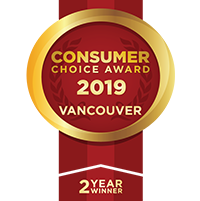 Discover for yourself why we are the first name in Vancouver commercial cleaning. Your custom cleaning plan will be carried out by highly motivated franchisees that receive ongoing training and are committed to their craft. Furthermore, our cleaning services are available across the entire lower mainland. If your office or commercial space isn’t as clean as it could be, it is giving off a negative message to clients and providing a less than inspiring work environment for your employees. The solution is to count on BC’s commercial cleaning leader, Anago of Vancouver, to bring a new sense of clean to your work environment. Working closely with you, we will create a custom cleaning plan that features the services you desire, as often as you would like them. Count on Anago of Vancouver for your office cleaning to keep your commercial facility looking its best. Call today for janitorial services +1 (604) 336-6211 . We would love to discuss our custom cleaning service plans. 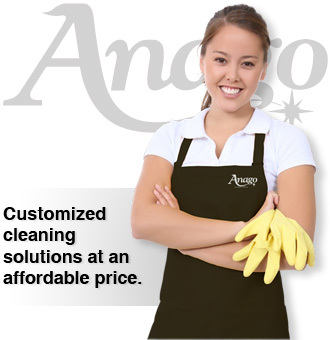 Start Your Own Anago Cleaning Systems Franchise! Become a business owner in a growing, recession-resistant business. As a Franchise Owner you will join thousands of other Anago Franchise Owners that are currently cleaning some of the best known clients in Canada.